We are delighted to kick off Independent Bookshop Week 2017 with our 1st Birthday celebrations in the form of 20% Off on the 24th June. 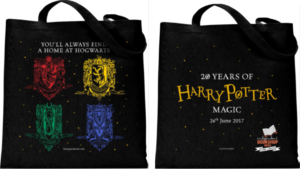 We have the *very* limited edition of the IBW Harry Potter tote bags – free if you spend over £20 in store (while stocks last). A full list of shortlisted titles is available in the shop, or on the IBW website. Hooray for Independents!